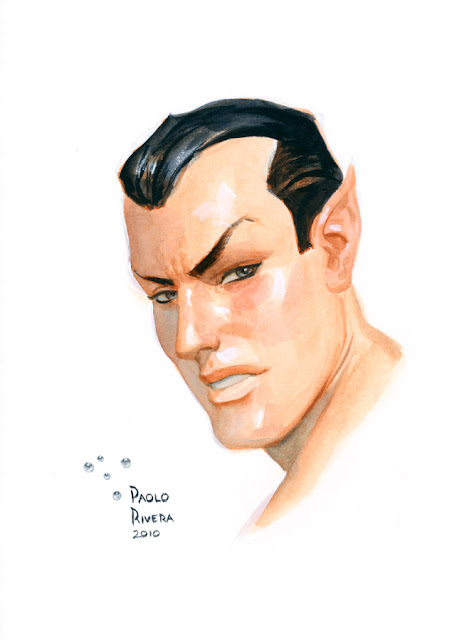 Namor. 2010. Watercolor on paper, 9 × 12″. We're getting closer and closer to the New York Comic Con, so I figure I had better post all the commissions from last year. I'm only doing 2 conventions this year, but I might try to step it up in 2012. We shall see. Thanks to everyone who came to the Hanley's signing!